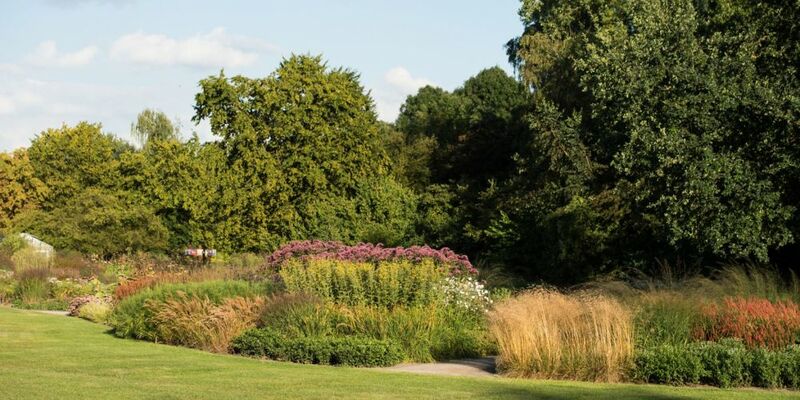 The Maximilianpark in Hamm is mentioned in the same breath as the New York Battery Park, the Millennium Park in Chicago or the Dream Park near Stockholm. 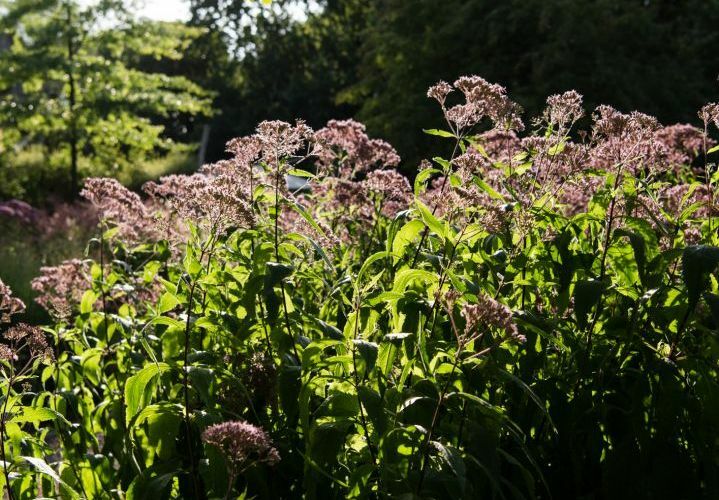 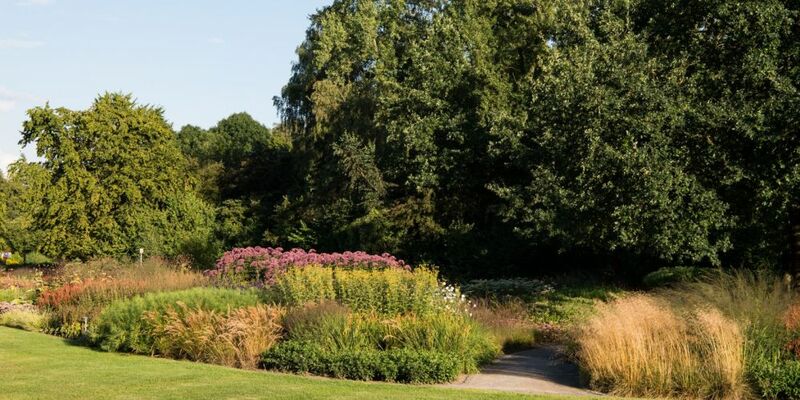 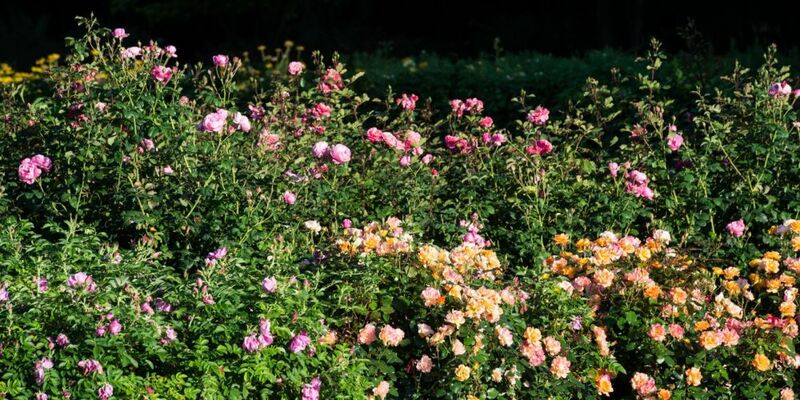 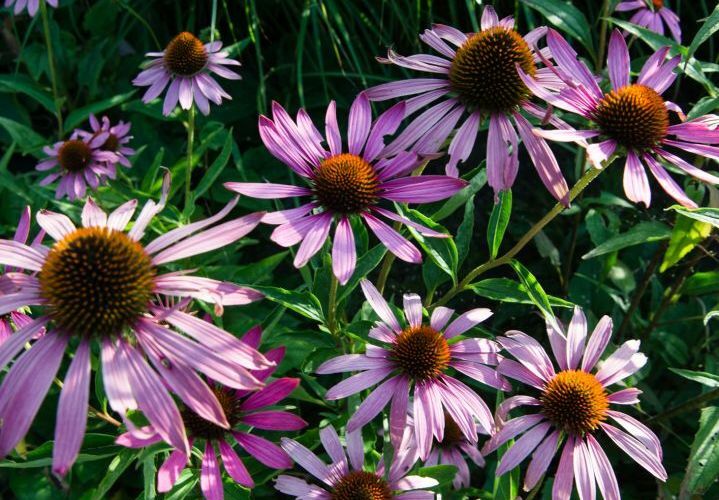 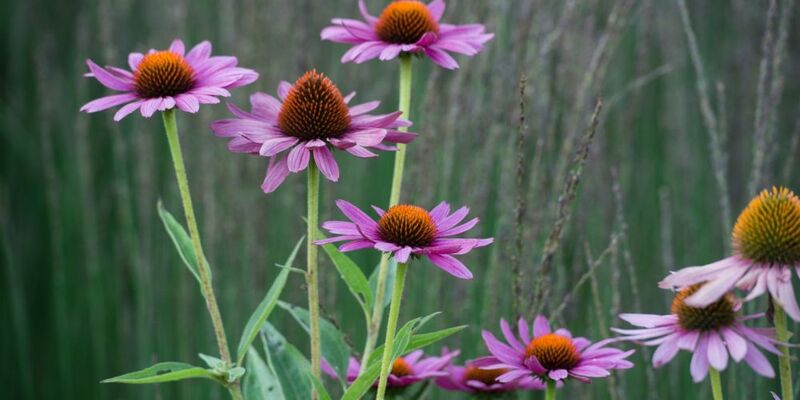 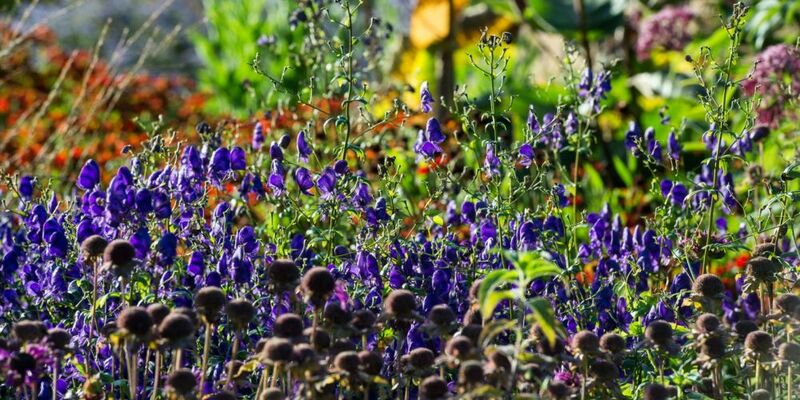 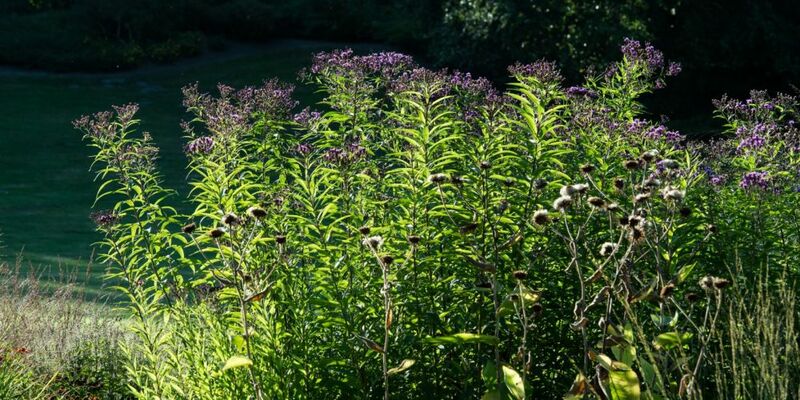 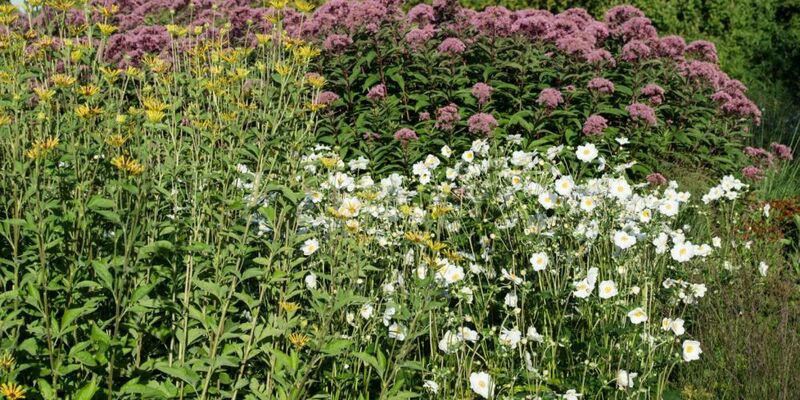 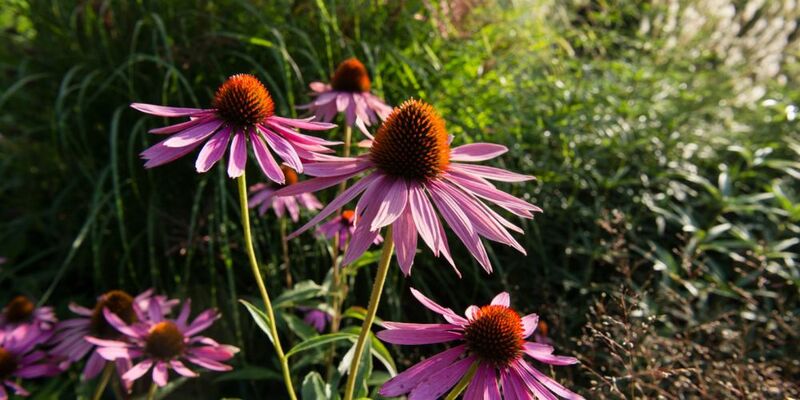 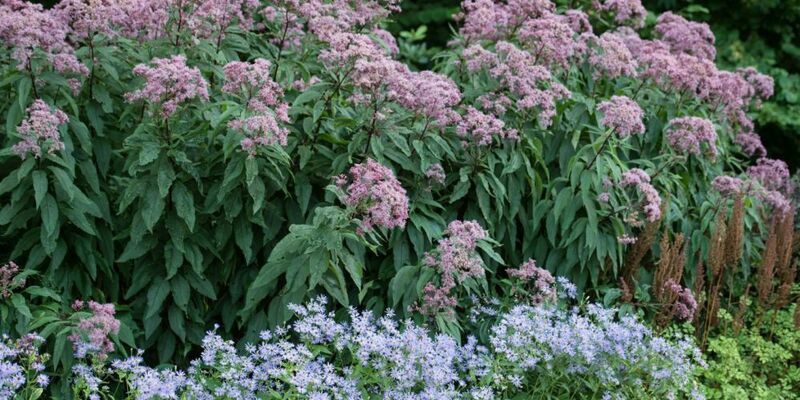 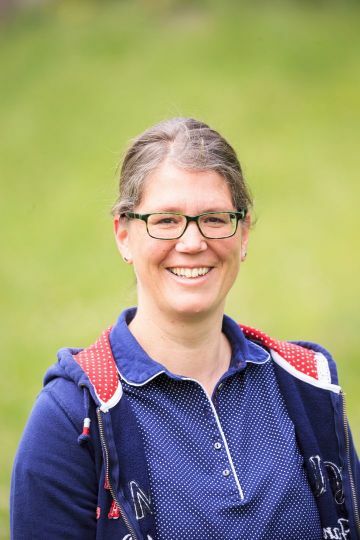 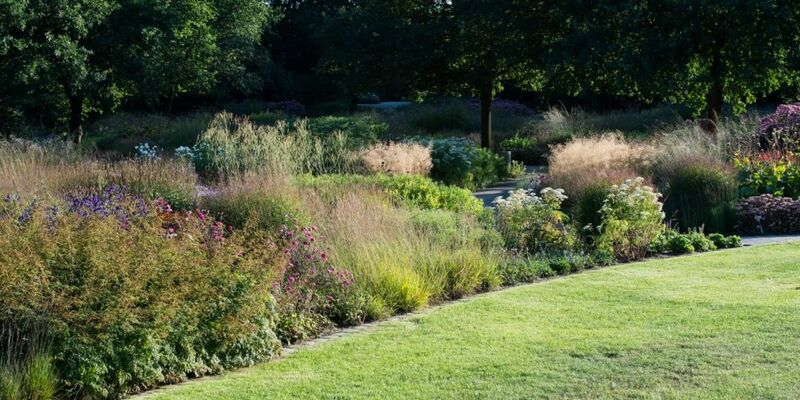 These parks are fortunate enough to have a perennial and grass garden by the internationally renowned garden architect, Piet Oudolf. 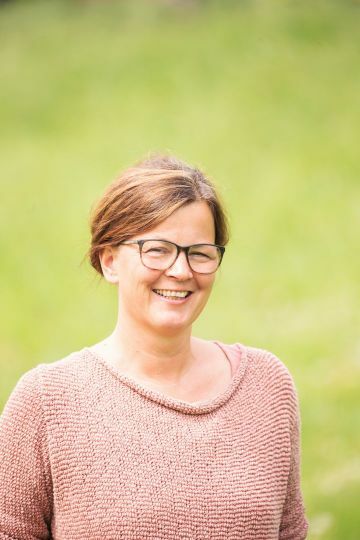 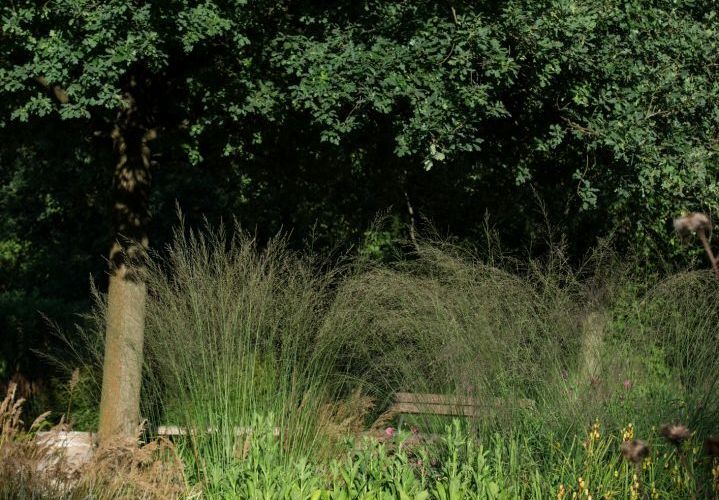 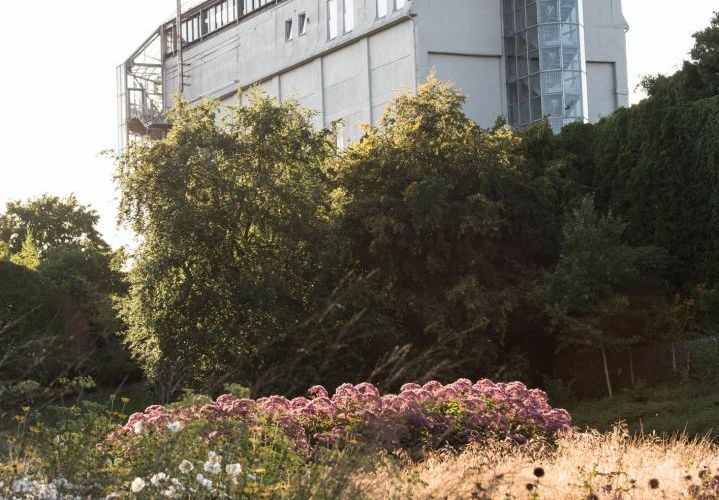 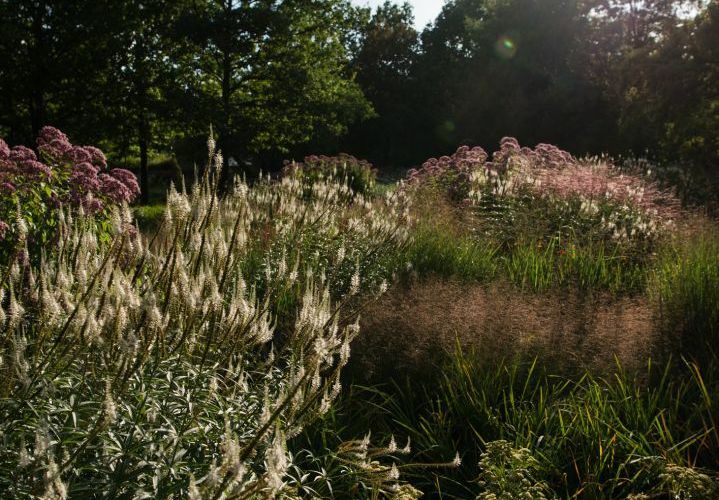 The sonorous titles, Garten Art (GartenKunst) and DesigingNature (NaturGestalten) already give a first indication of the artistic vision of Piet Oudolf. 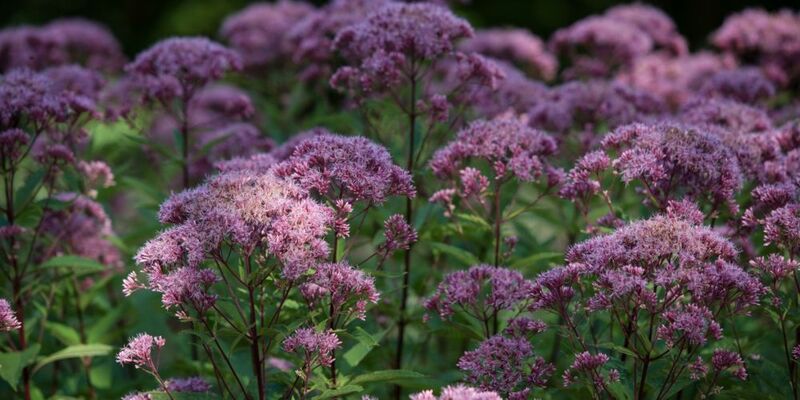 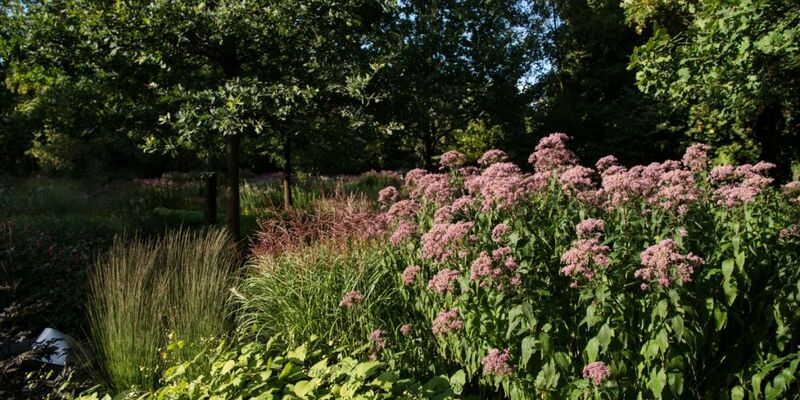 The “Rockstar” among garden architects has created special plant compositions just for the Maximilianpark. 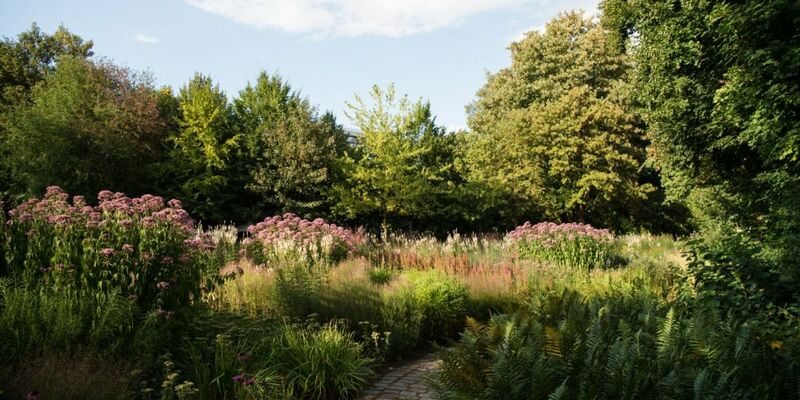 In keeping with his credo not to view a garden in isolation from its surroundings, the garden architect was inspired by the scenery that already existed at the Maximilianpark. 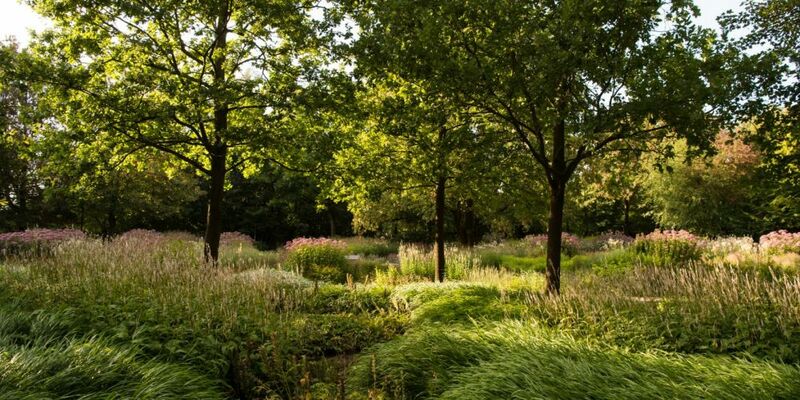 This does not only have areas with dense trees, an important spatial aspect, but also provides a unique interplay of light and shadow. 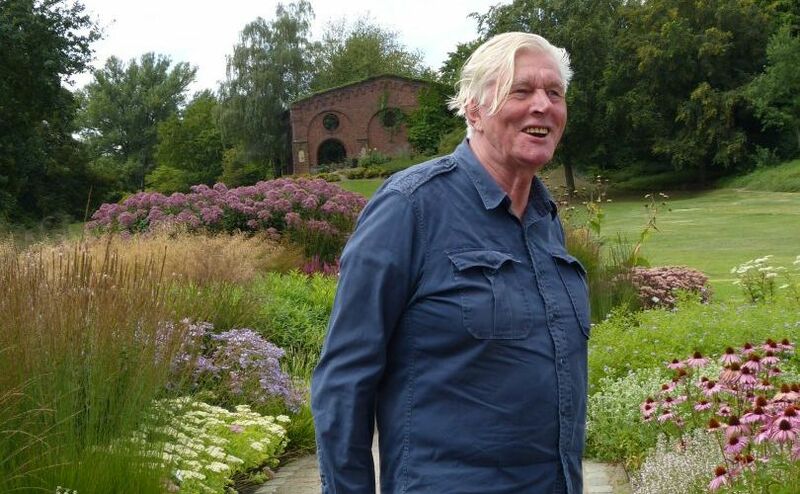 Piet Oudolf, with his impressive knowledge of plants, is rightly regarded as one of the most talented contemporary garden designers whose reputation is based, among other things, on his remarkable sense of composition and artistic sensitivity. 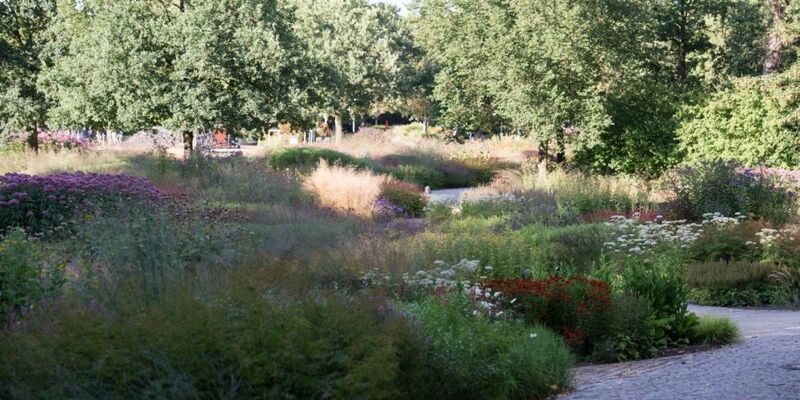 It is thanks to this that an extraordinary, dynamic combination of plants has emerged in Maximilianpark and this is also subject to constant seasonal change – a landscape architectural perpetuum mobile. 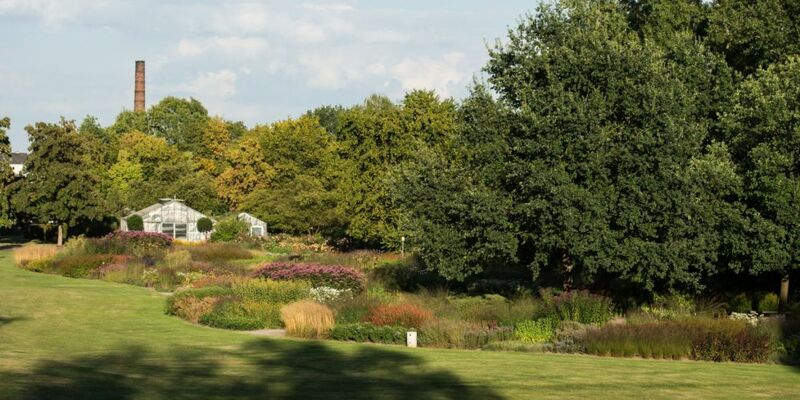 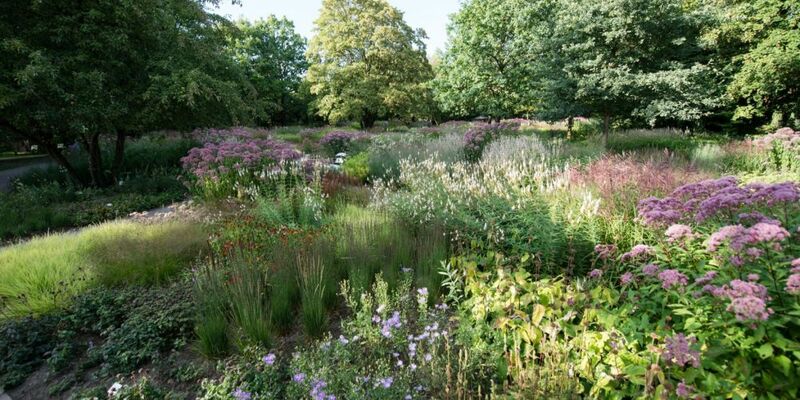 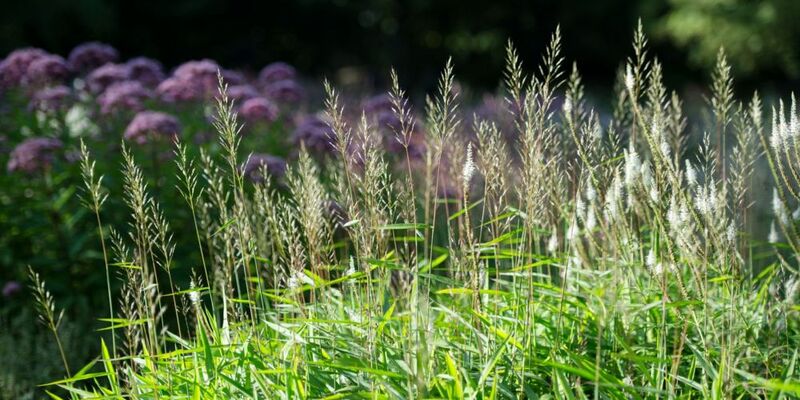 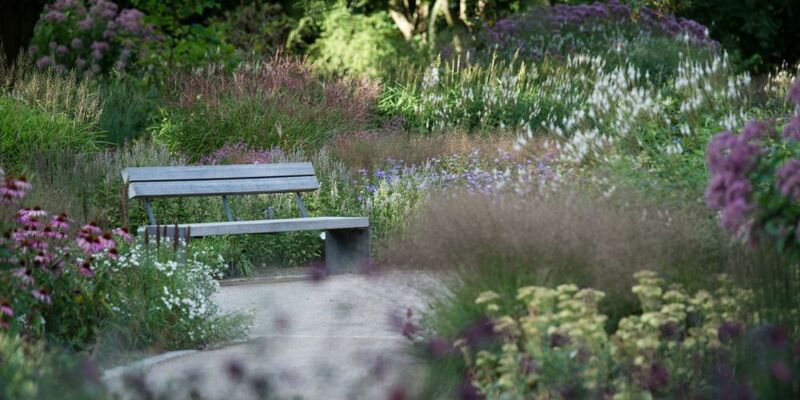 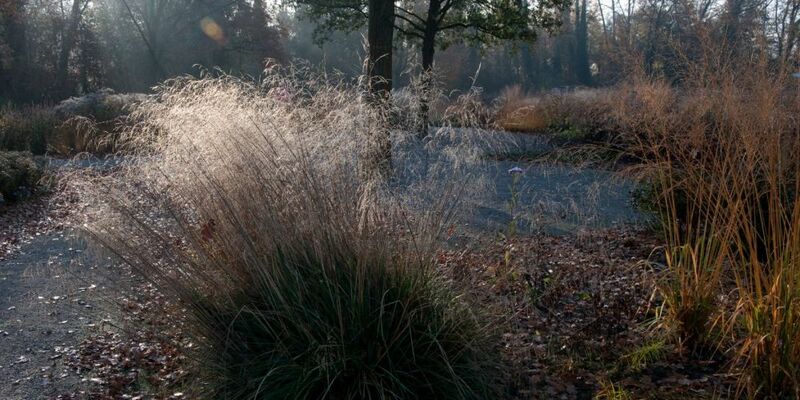 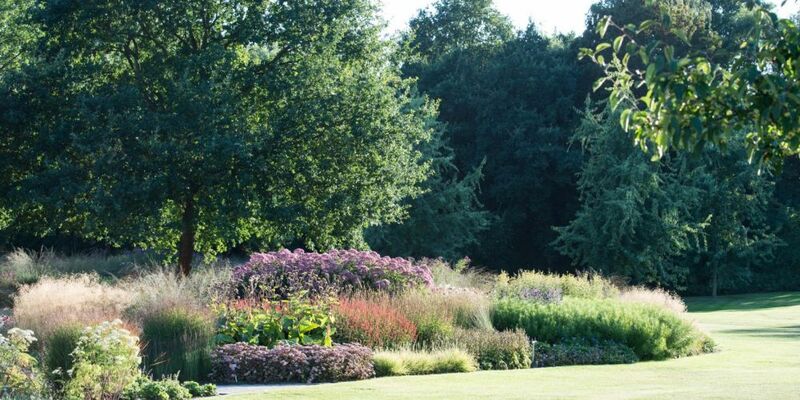 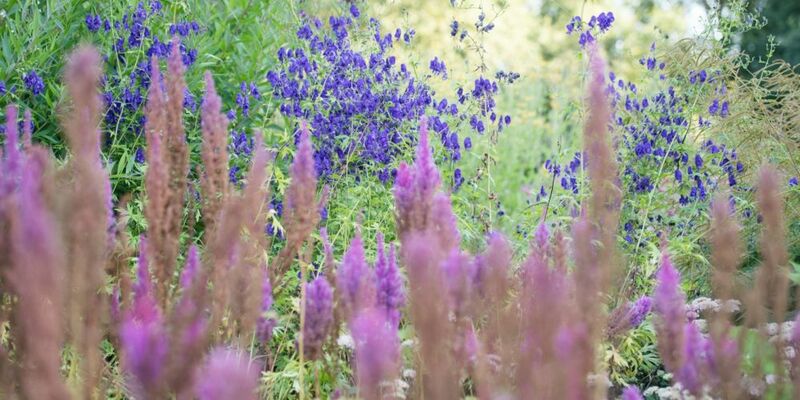 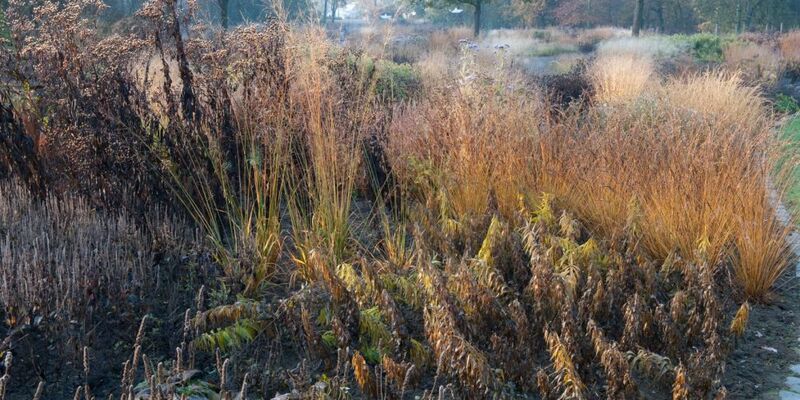 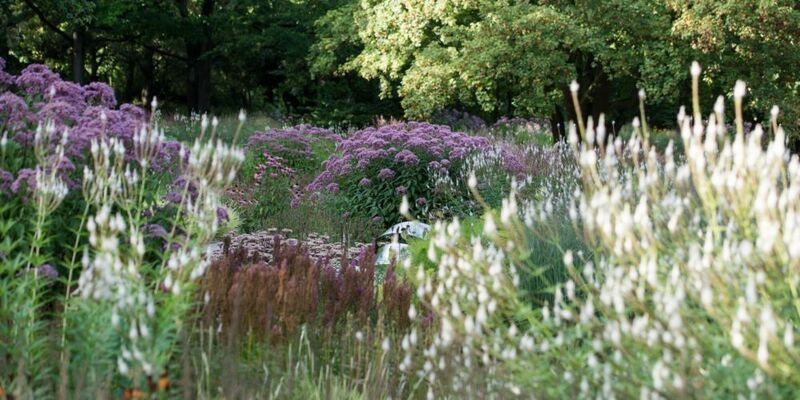 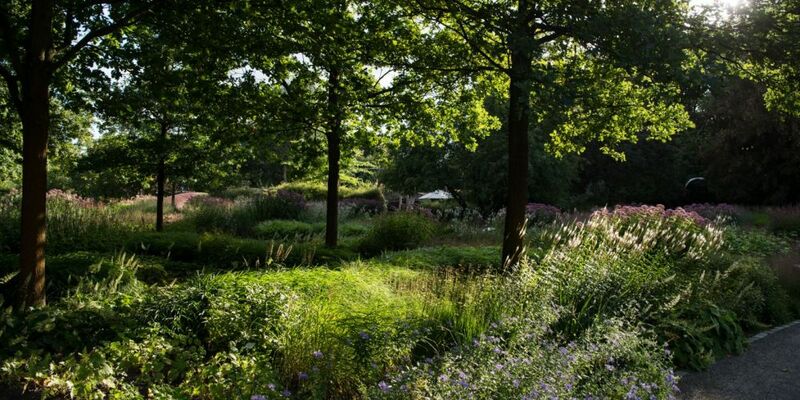 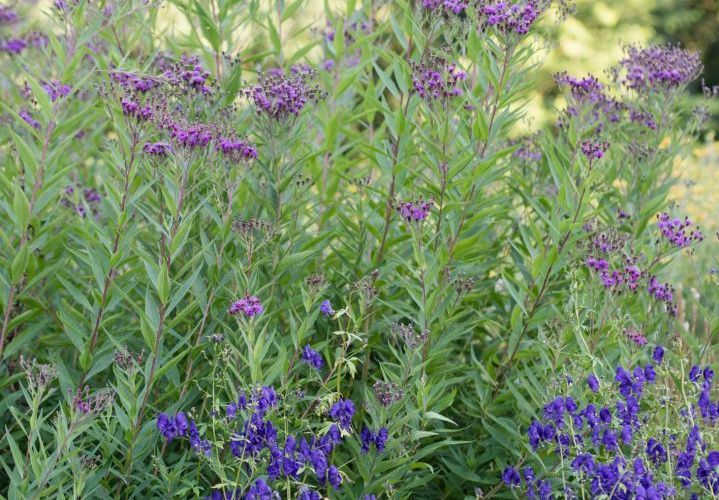 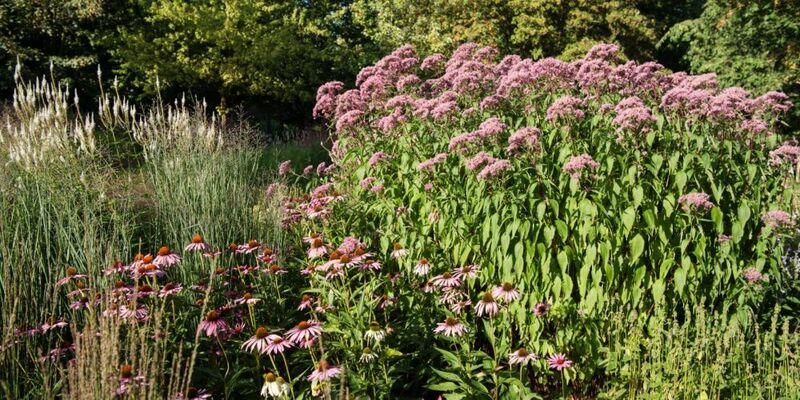 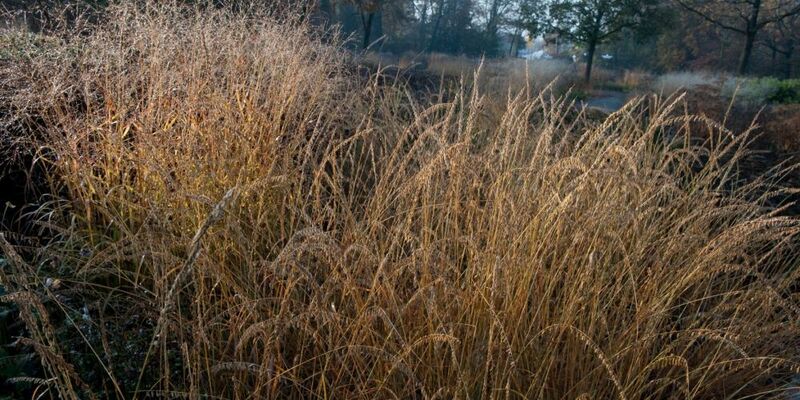 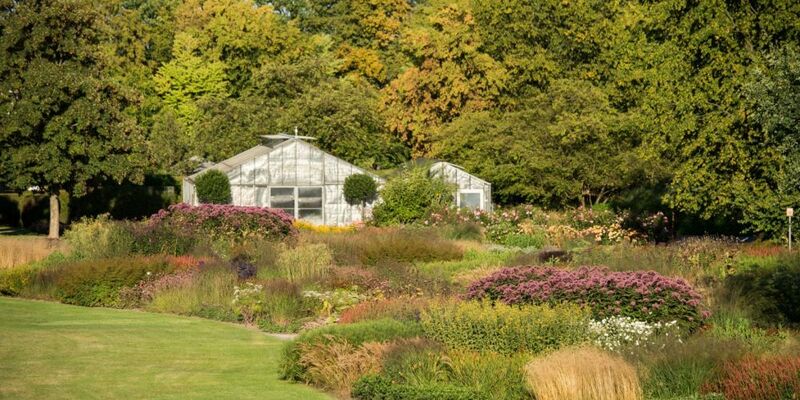 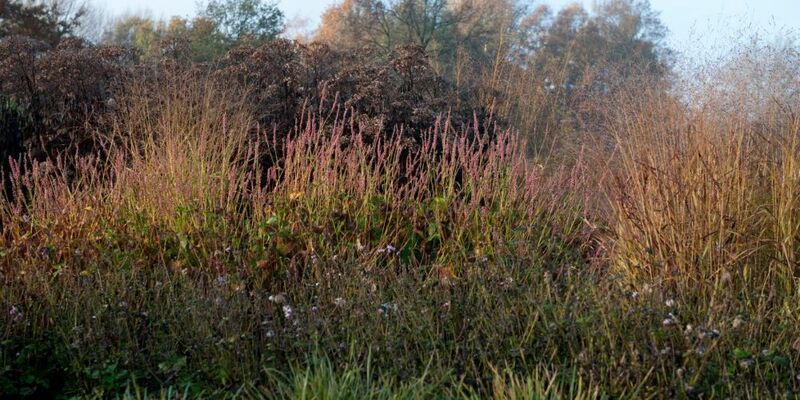 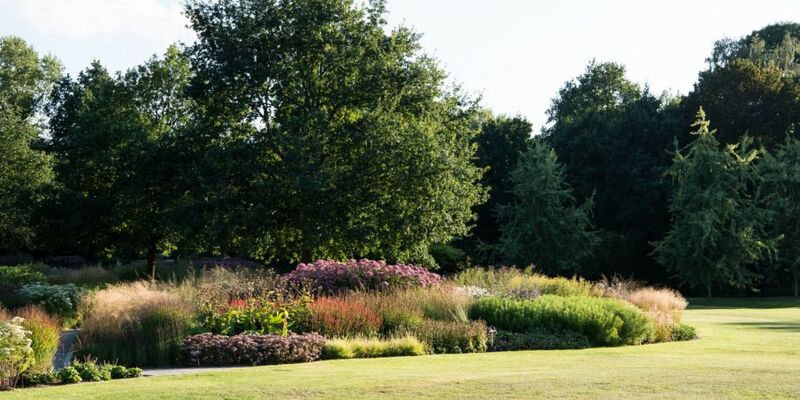 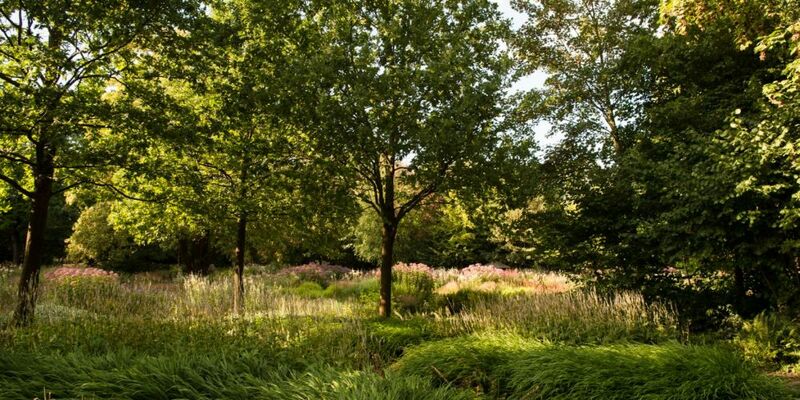 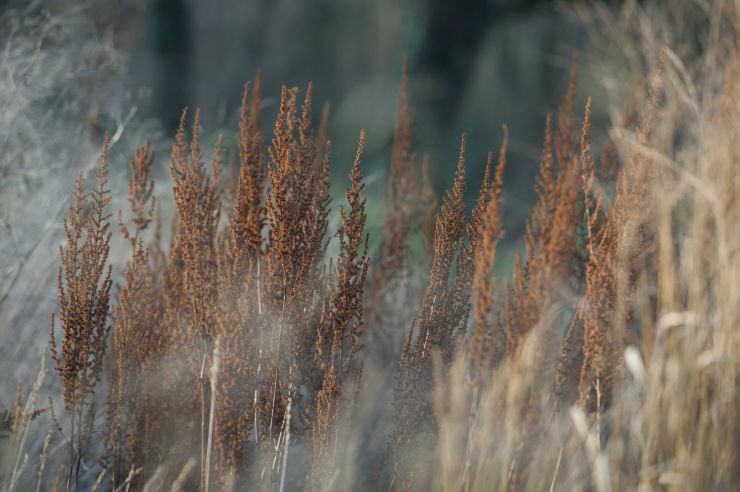 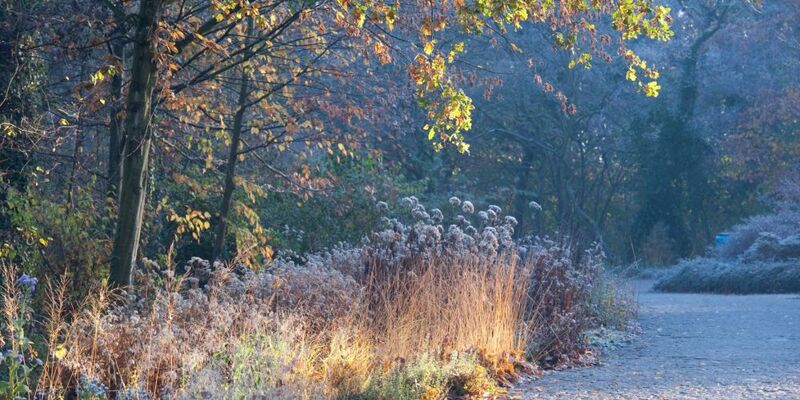 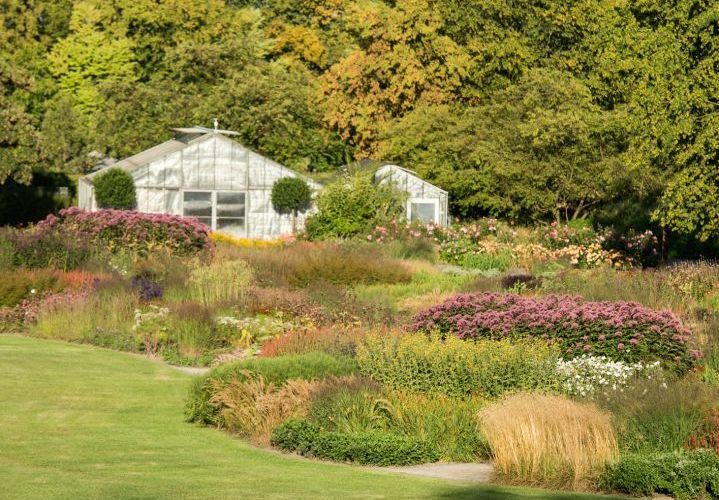 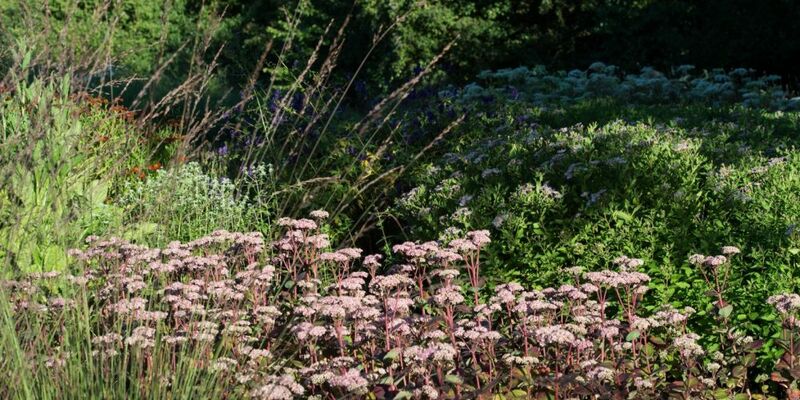 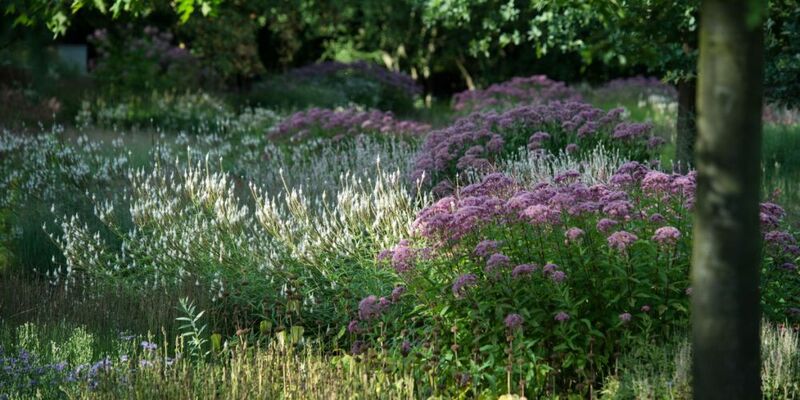 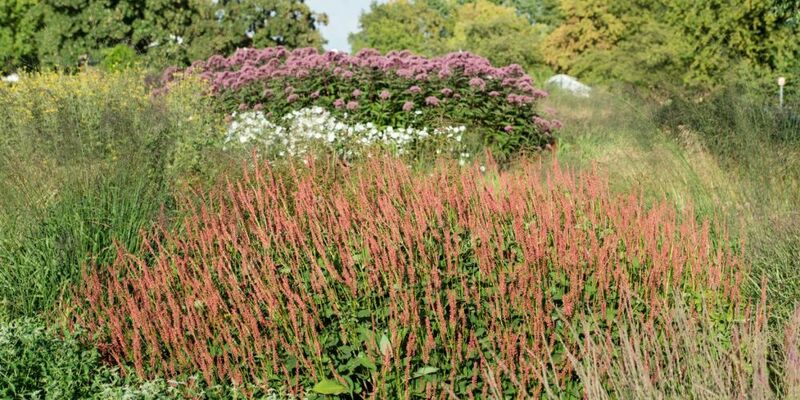 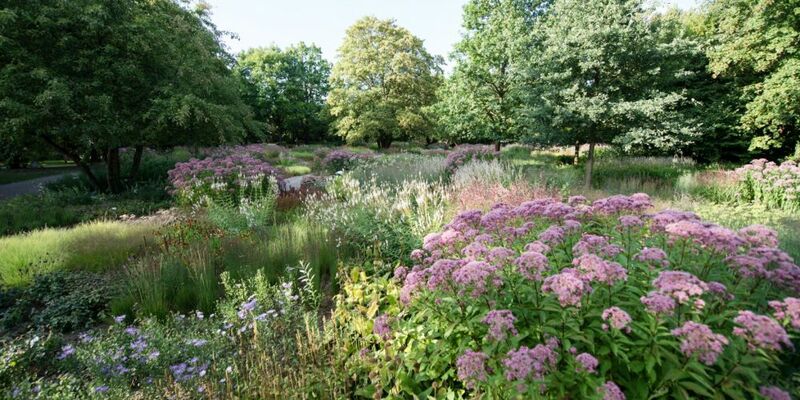 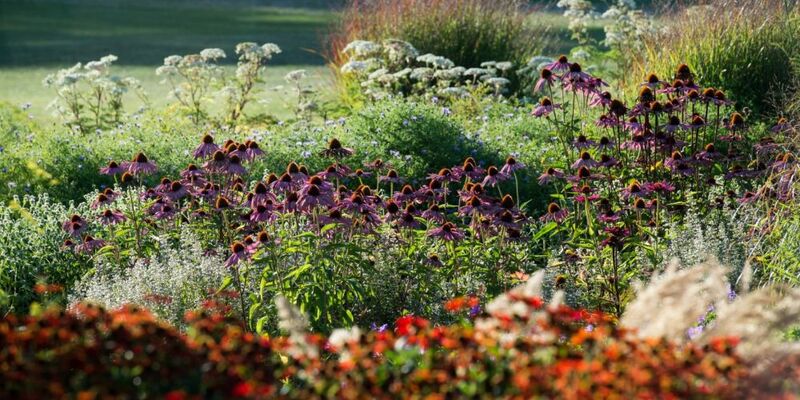 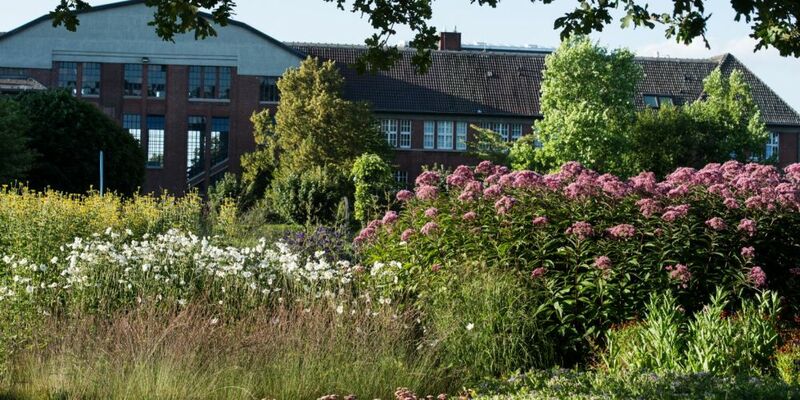 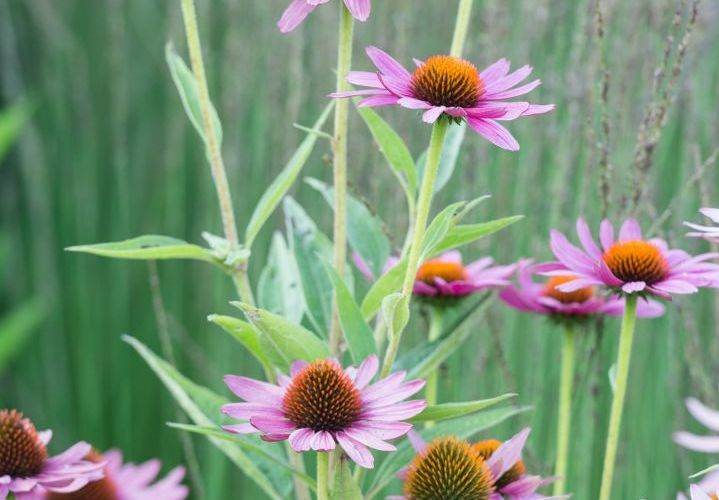 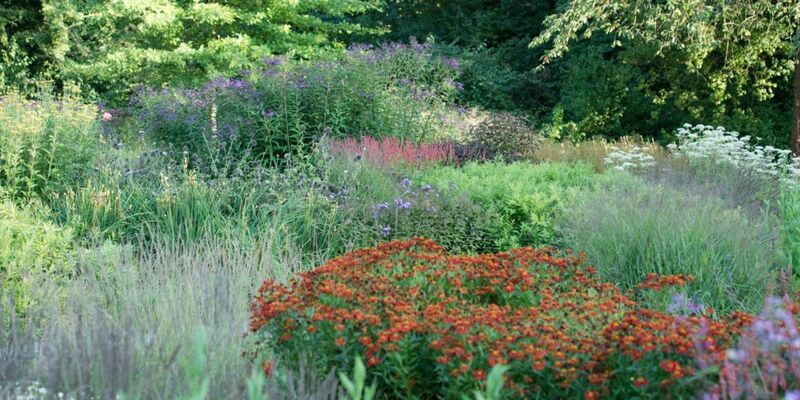 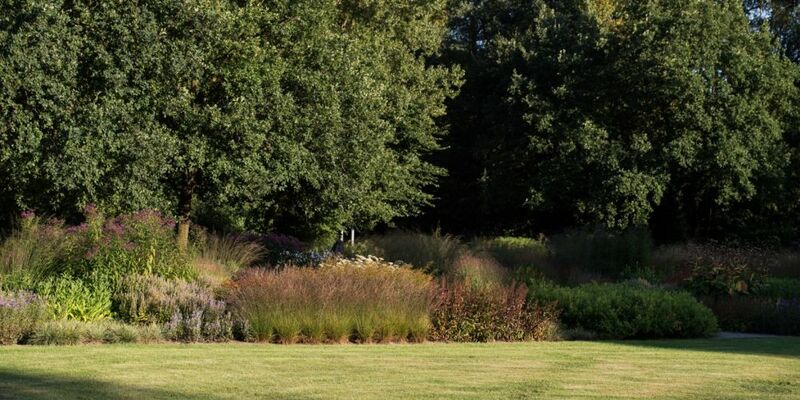 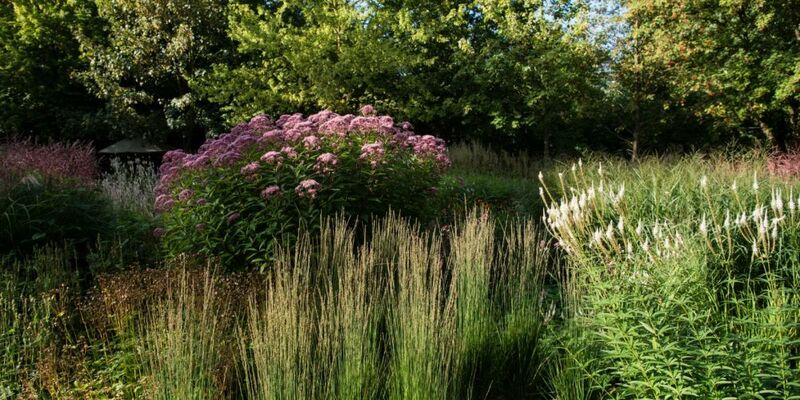 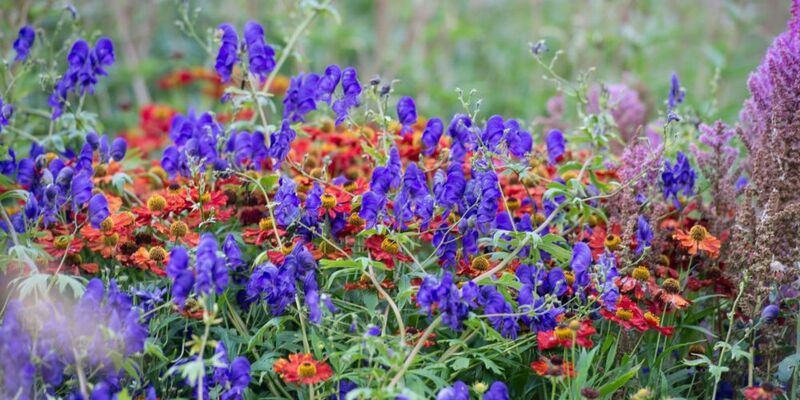 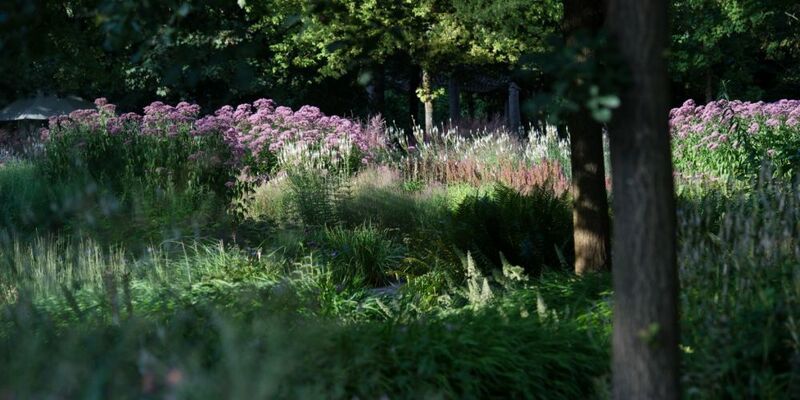 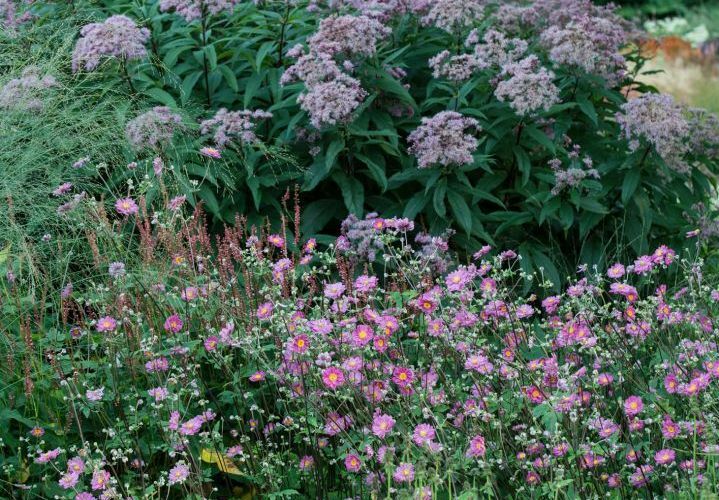 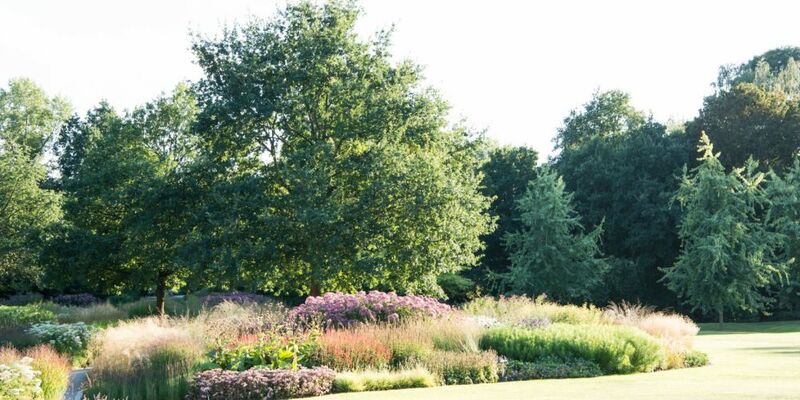 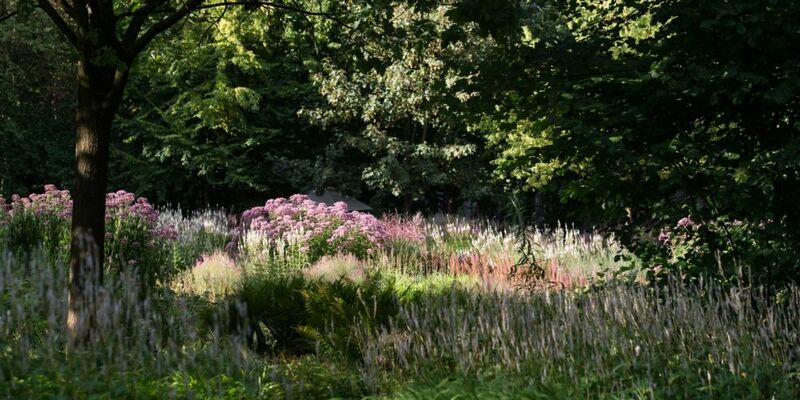 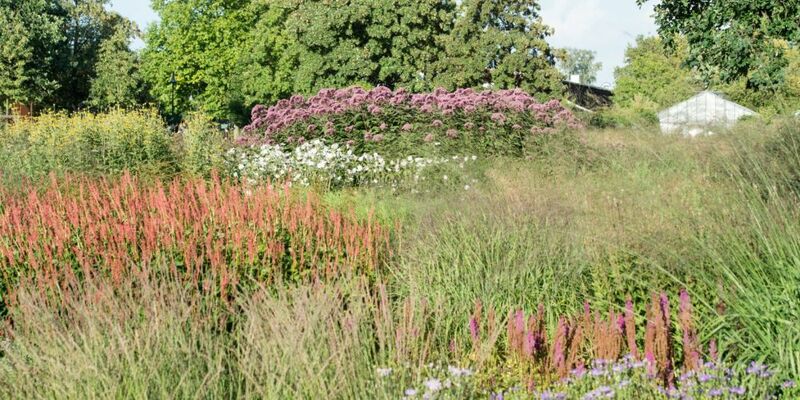 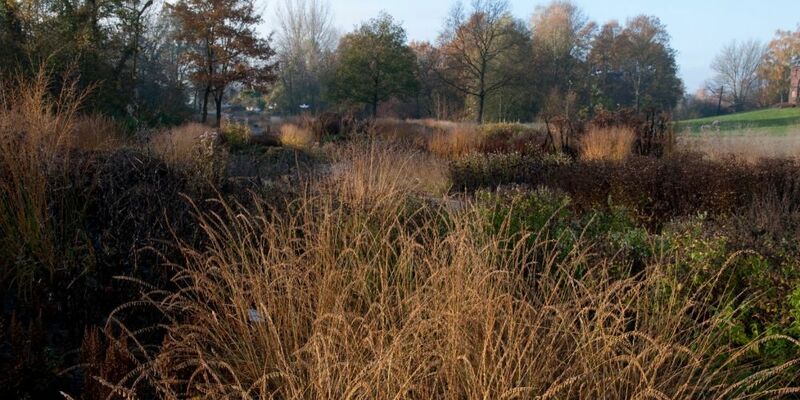 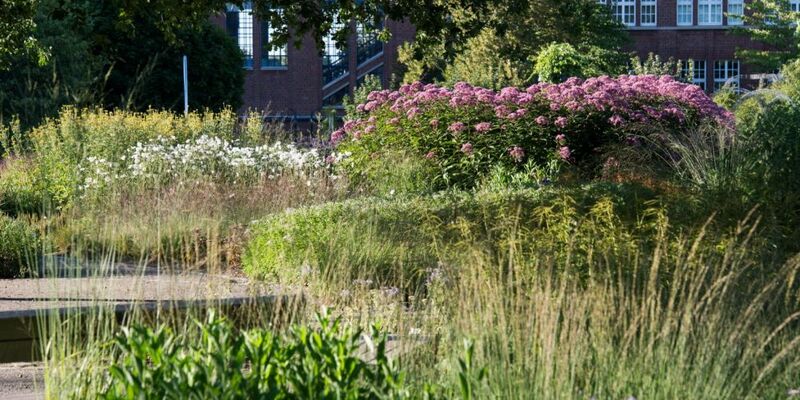 Piet Oudolf skillfully combines a wealth of different perennials and grass, sometimes planted together in large groups, with which he achieves an impressive distance effect, and whose targeted repetition helps the plantations gain rhythm. 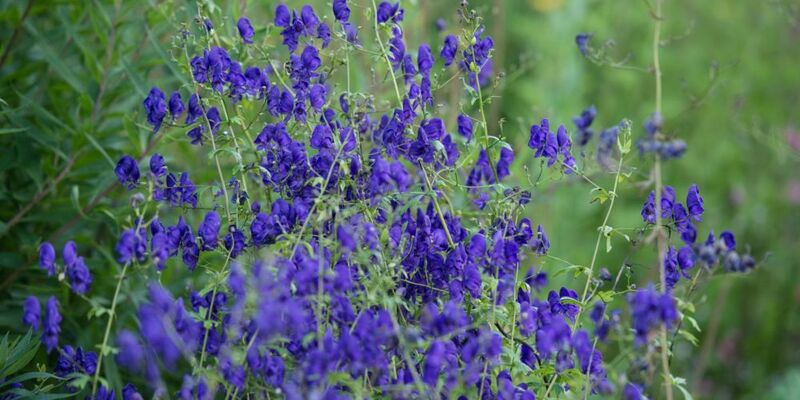 The colour of the blossoms, which often bloom only a few weeks, is of secondary importance compared to their structural effect. 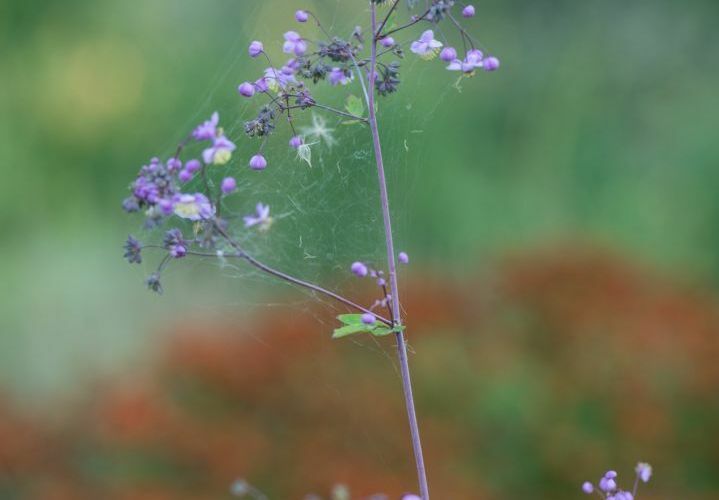 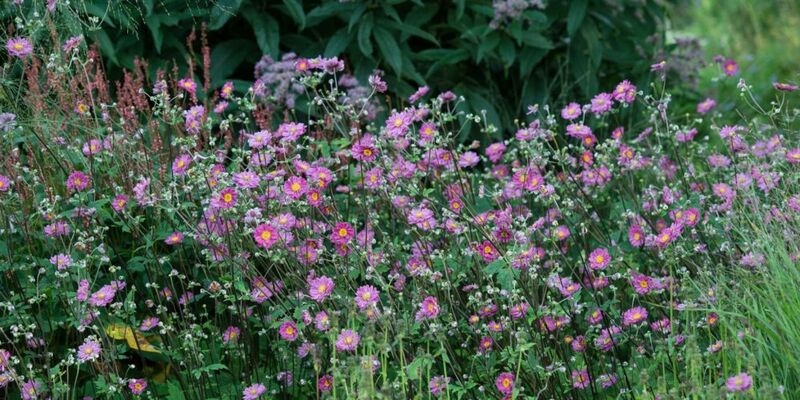 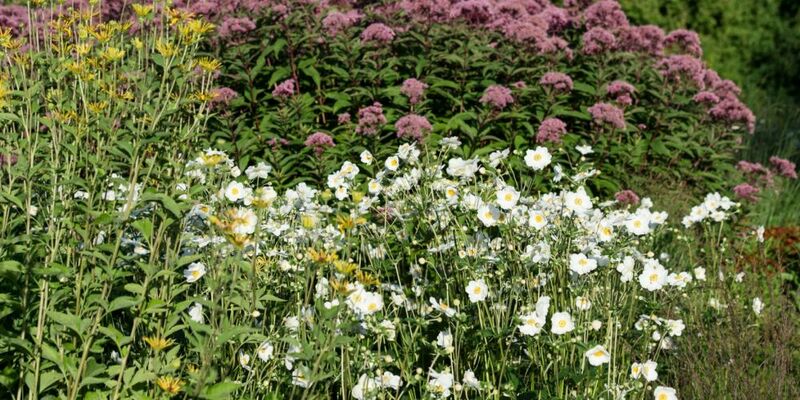 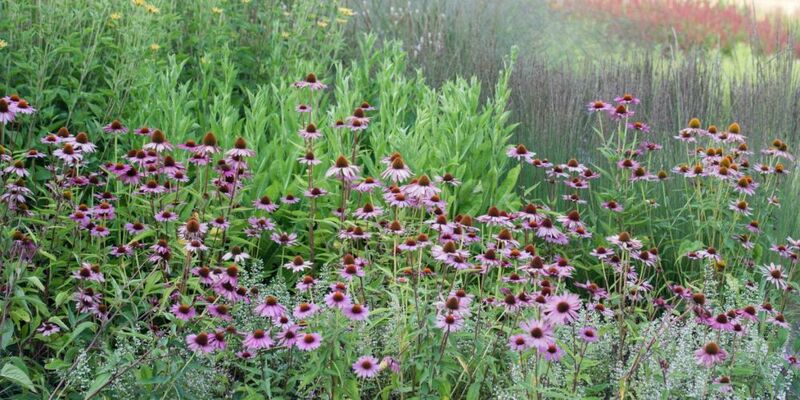 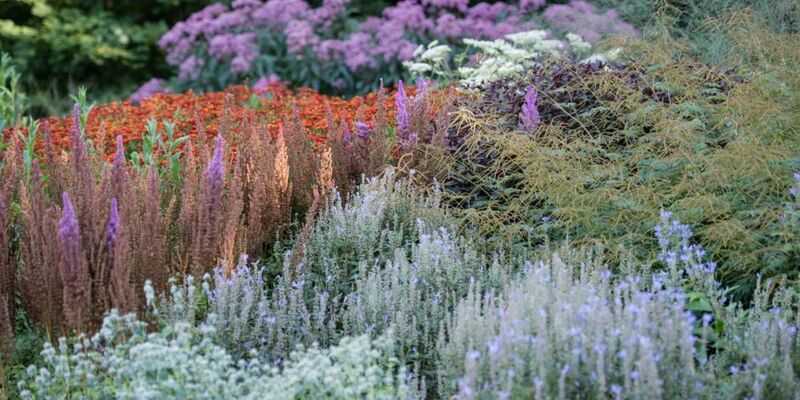 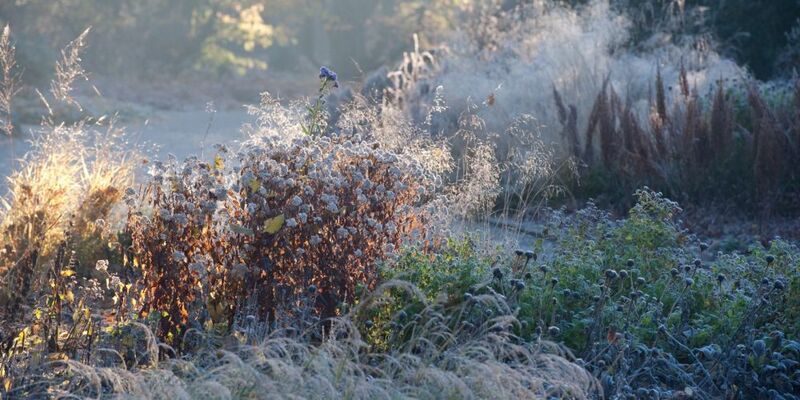 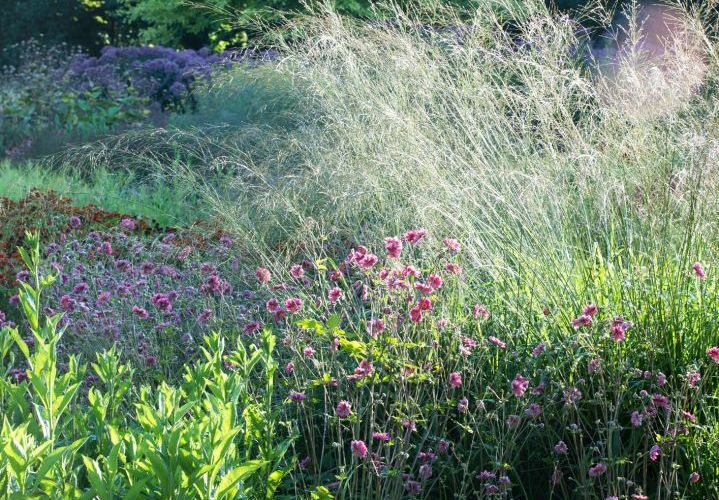 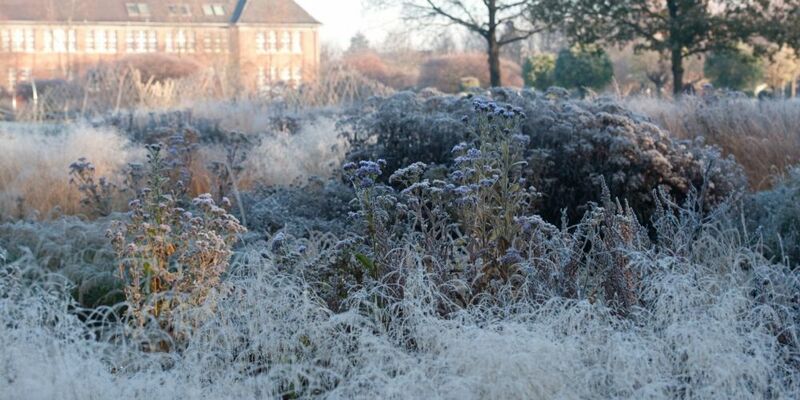 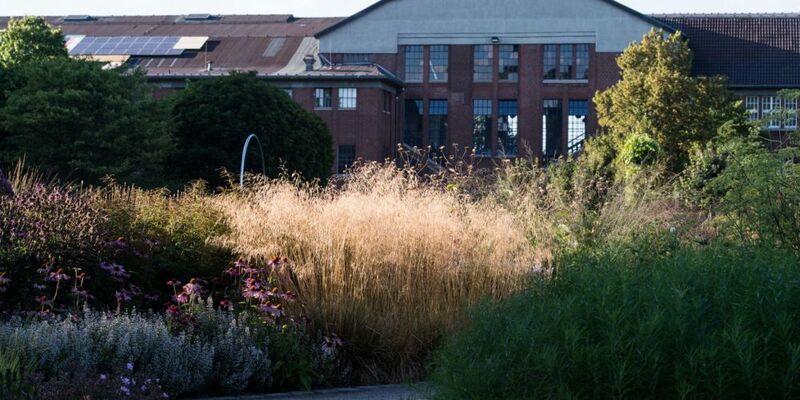 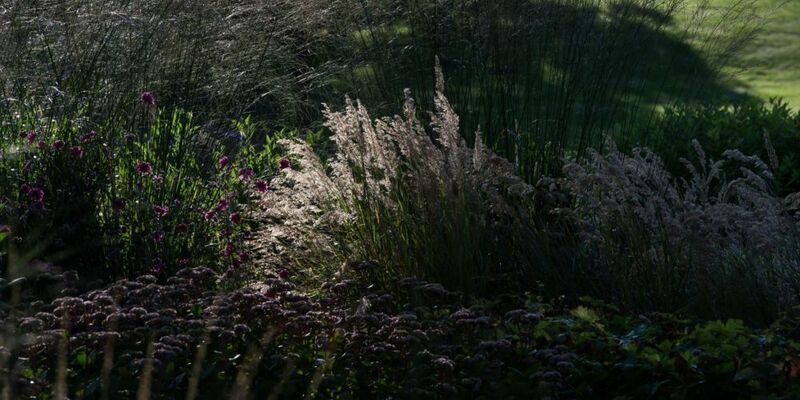 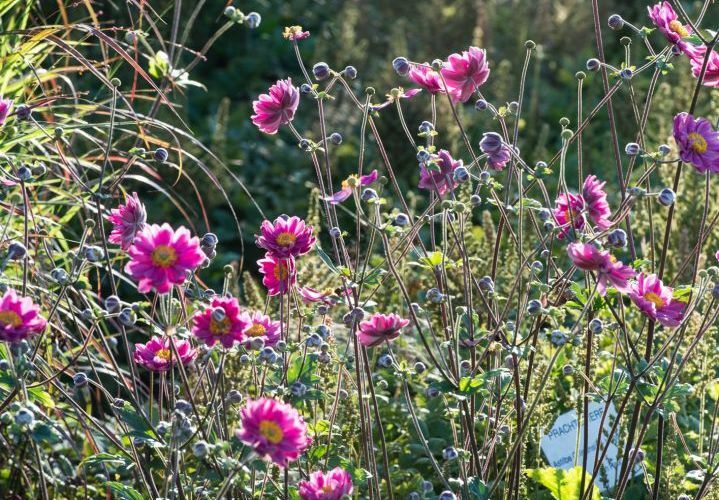 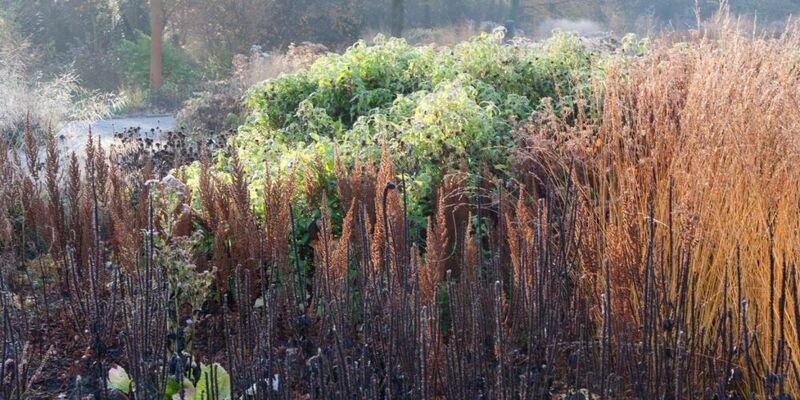 Structures are almost like a trademark of Oudolf’s use of plants. 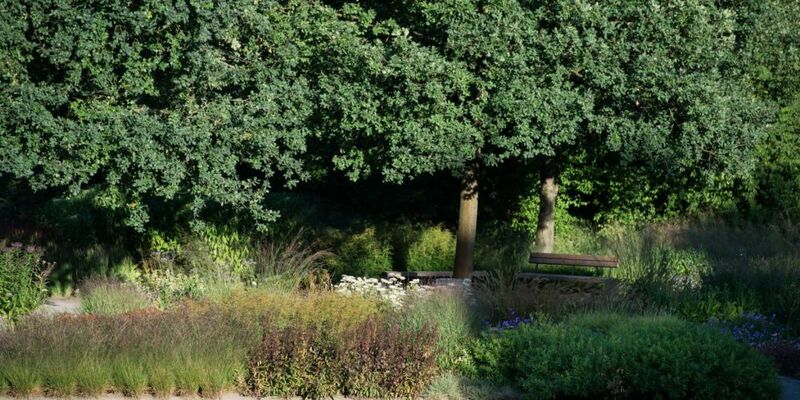 By not pruning in autumn, visitors to the Maximilianpark during the cold season can enjoy the structural concept of the plant compositions. 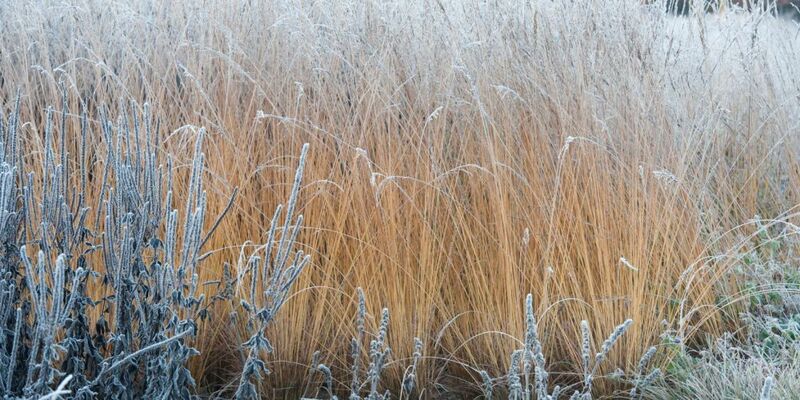 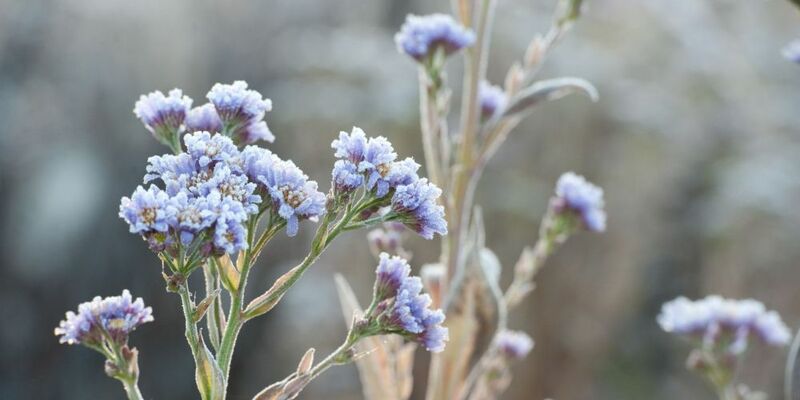 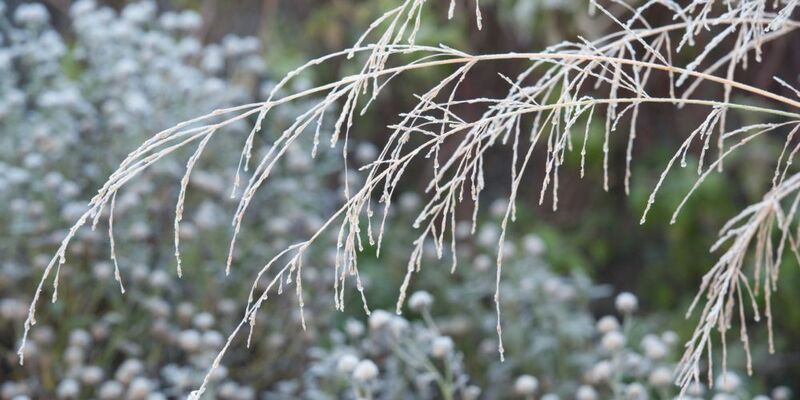 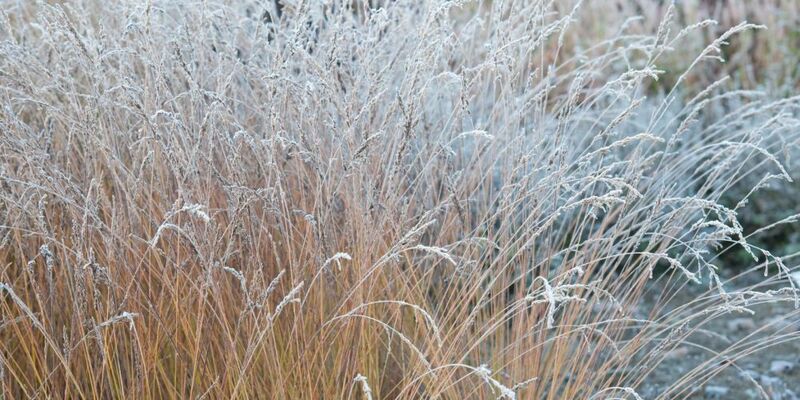 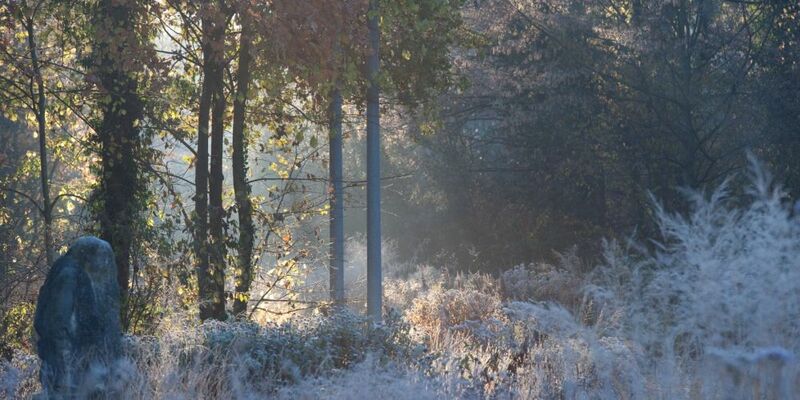 These promise a wonderful winter wonderland especially in snow and hoar frost. 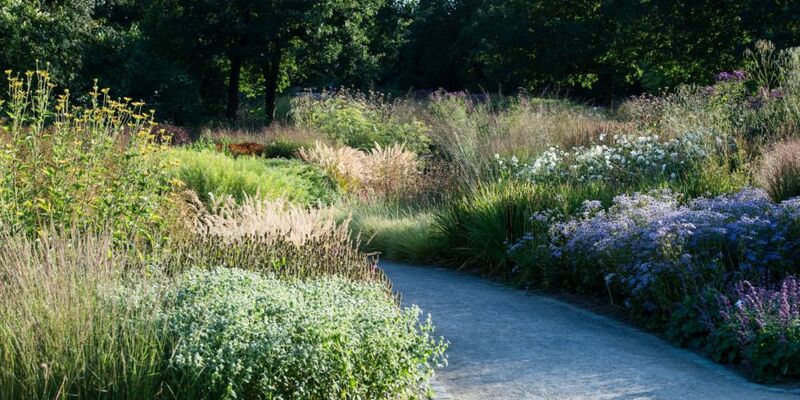 Enjoy a sea of impressive perennial and grass formations, criss-crossed by winding paths that invite you on a floral expedition. 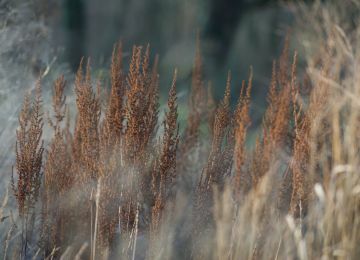 The points where the individual paths cross serve as central spatial elements in the system. 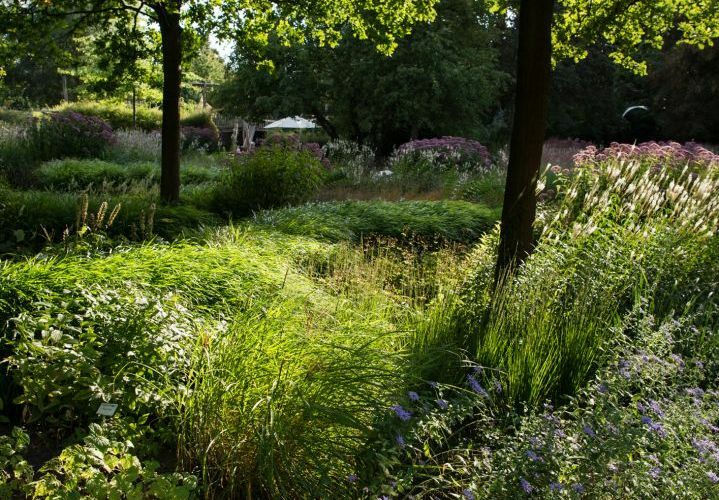 They invite you to linger and, at the same time, correspond to one of the ideals behind Oudolf’s conception: View and enjoy nature from different angles.